Posted	 November 12, 2016 by	Sikh Dharma International & filed under Publications, Sikh Dharma Technology, Sikh History. In 1975, Livtar Singh Khalsa (Atlanta, Georgia) composed this song recounting some of the major events in Sikh history. 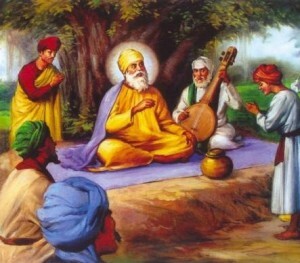 The Siri Singh Sahib directed that “The Song of the Khalsa” be sung in every Gurdwara immediately before the Anand Sahib. He even requested that the lyrics be inscribed on the back of his memorial marker. As a matter of historical interest, the words that were chiseled in stone were copied from an issue of “Beads of Truth,” which unfortunately contained errors! I have come full circle in understanding that “religion” gives you the lines on the side of the road to keep you headed in the right direction. Hopefully it also gives you the technology, the car to drive down that road. But once you arrive at the ONE, there are no Hindus, Muslims, and yes, Sikhs. There is only the One. Now when I talk to people about it, they think I’m nuts. I talk in our local Indian Gurdwara and ask, “Was Guru Nanak a Sikh?” How could he be if there was no such “religion” at the time? 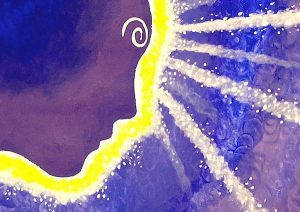 Or my other favorite question for those being judgmental about who is a “good Sikh” or a “bad Sikh”—“On the day before Guru Nanak was born, how would one accomplish being a good Sikh?” You couldn’t formally, but you could do all the things that have been the same since the beginning of time. Still, the question should never be, “Are you a good Sikh or bad Sikh or left Sikh or right Sikh?” The question is, “Are you doing those things that have liberated the beings since the beginning of time?” The Sikh path gives those rules and technology in the way they will be needed for the Aquarian Age, but it is our thing as humans to make them into cement instead of a flow. There’s a phrase I heard Sumpuran Singh (of Florida) use once. He said the founders of most religions usually don’t start out to start a religion. They give a technique, a path; they attract a lot of students, and then later the followers “harden up” around the original concept. Once their minds have hardened up, then there are the usual walls… “They are on the other side, we are on this side. A is on that side, B is on this side.” It defeats the whole original purpose, to get to One-ness. I remember so clearly in our early days when we were so fanatical. The Siri Singh Sahib had to bring us through that experience to get clear of it. Since we are not in India, he gave us all our own version of how to “clean the floors of Harimandir.” Somewhere in his teaching, for each person, there is that thing that is very hard to do (other than the usual yoga and sadhana, which are not easy). Yet if they do this thing, they will have their karmas cleaned and get the vision of third eye. My version was to serve the sangat as ashram director, but more specifically, to serve the Gurdwara energy at our ashram in Atlanta. Because we weren’t very large, everyone had to help for every Gurdwara. None of this once a month missal stuff for us. Plus every morning at sadhana there was a Gurdwara. For the first ten years or so, I didn’t like it, I just did it. Then I started to get the juice from it. I got more and more into it. This was my version of “cleaning the floors of the Golden Temple.” This went on for years and years. and any thoughts that convey anything else are part of the illusion. I no longer wondered if I was doing the right thing, or if I should be better at this, or worse at that. All of that self-nagging, which has no reality, was gone in an instant. I was so shocked, I didn’t know what to do. Why did it happen driving a car and not during some deep profound meditation? In fact when it hit me in the car, I actually said, “Holy s**t, it really is all ONE!” (rather than something I would later have thought more appropriate). 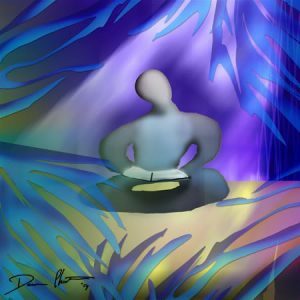 This concept of the One being and doing all…I had thought about it, meditated on it, read about it, and taught it. But when I actually saw it and merged into it…Wha! After that I went almost mute for most of a year. There was no one to talk to, because there is no “other.” Finally, only because of the example of my teacher, I started talking again. He taught that there is no teacher, and no one to teach. He taught. Even though he said, “You think there is someone sitting here teaching, and you are sitting there listening. There is no such thing.” He knew everything I knew, plus infinitely more, and still went through the game of life. So I literally copied his example to see where it would lead. I figure that’s the next level. I now hear his lectures totally differently. I understand what he is talking about (except for that “100,000 plus energy squared into the radiant angle of brain flexion” stuff), and I understand the role of dharma to get you there, but not to be your destination…just like he said so many times. I became a “watcher,” a word he used many times. I watch the movie now; I have no say. It has slowed down my songwriting some, because the words would be something like, “One, One, One, One.” I can’t even use the point of view of me and Thou—that’s not real. So I’ll look to my teacher, I’ll look to Guru Nanak and all the Gurus, and put my energy into sound and thought, so it can reflect back. Maybe the most important thing I discovered was that the marble floors of Harimandir are all around us, not in a far away place. Just lean down, start scrubbing, and don’t stop until you see the One in your reflection. The “Song of the Khalsa” is from 1975. I always have to look it up by the movie that inspired it, “The Human Factor” starring George Kennedy. That movie made me understand the term “fearless.” Not overcoming fear, but being utterly without fear, the state of the enlightened. I came home from the theatre, and I was so inspired I was almost agitated. I wanted to put it in some form that could be transmitted to others… to bottle it. That’s how this song, through the filter of my sadhana and seva, came to be. So leave the fear. Bani, Bana, Simran, and Seva can wash away any of that. Be in the flow and enjoy the “movie.” Long answer to a short question, but that title got me going…. I worked on the song in our sadhana room at the ashram. It took two or three hours, which is very quick for me. After I thought the song was finished, with four verses being written, I had a feeling of completion and great relief that it came out well. I decided to go upstairs to my bedroom and rest. Just as I was passing through the doorway, I felt as if someone or something started knocking gently on my head, as you might knock lightly on a door. 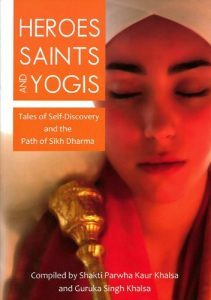 Now this kind of thing may seem a little odd to you, but I was already familiar with many unusual experiences from my meditations. I took it right in stride and went along mentally. “What?” (as in, “What do you want?”), I thought, somewhat defiantly. I could tell that since it had started out with head knocking, it was going to be some kind of bugging, not hugging. “You’re not finished with the song,” ‘It’ said. “What do you mean? It’s good, it says what I felt, and it has four whole verses. That’s plenty!” I thought back emphatically. Surely the blazing logic of my argument that, “It’s the number of verses that counts,” would overcome any further objection. It was happening so suddenly I wasn’t quite realizing yet that whoever could communicate with me internally probably already knew how many verses there were. “No, it’s not done!” ‘It’ insisted in my head. There is a kind of a birthing process involved for me to write a song, and this ‘It’ was telling me it wasn’t good enough. Even so, it finally got through to me that this exchange was something new and different. Am I hearing from one of the Gurus? Siri Singh Sahib? My own soul? God? What? The one thing I knew was that it was not my own mind. I was having an actual “conversation” with someone else. “Are you sure?” I gave one more hopeful try. “Go finish it,” ‘It’ vibrated in me. I realized that I should listen and not argue. “Oh, all right, have it your way,” I thought (still a little peevishly). I went back downstairs and picked up my guitar. Immediately, out popped one more verse, easy as bowing your head. The verse was “Baisakhi day we were thousands.” I rearranged the song a little, and that new verse then became the fourth verse. I went back upstairs. I stopped in front of the door and waited a moment. Then I passed through expectantly, my eyes looking up to either side of me. There were no more head bops. There was no more communication from ‘It.’ ‘It’ was satisfied, and so was I. To this day I have no idea who or what ‘It’ was. Nothing like that has ever happened again. I just accept it and give thanks for that clear command, and give thanks that I could hear. P.S. Intuitively, I have always “suspected” it was Siri Singh Sahib Ji. He never confirmed or denied.